From August 31 through September 2, SCJs, employees and collaborators from around the country took part in the Mission Education Conference hosted by Sacred Heart School of Theology. Begun in 1995, this was the sixth Mission Education Conference, which brings people together to learn about the Priests of the Sacred Heart, its mission, and their founder, as well as the works of the congregation. It is also a time of fellowship; a time for people who often only know each other by phone calls or e-mail to meet face-to-face. The next gathering will be in 2012 in South Dakota. 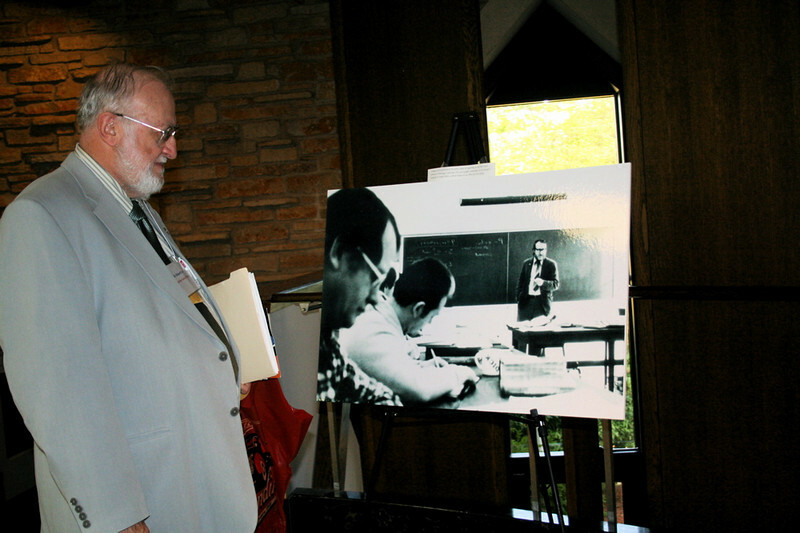 Dr. Richard Lux takes a look at a younger version of himself on display in the SHST lobby. Scattered throughout the seminary and provincial conference center were historical photos of the SCJs and SHST.